TBILISI, DFWatch — The supervisory board of Georgia’s Public Broadcaster Wednesday elected a new director as replacement for Giorgi Chanturia, who unexpectedly resigned almost two weeks ago. The board chose Giorgi Baratashvili, who has a background from different positions at GPB. All thirteen members of the supervisory board of public broadcaster attended the ballot to elect one of five candidates. Two of the candidates received zero votes, while Baratashvili received eight votes. The ballot was secret. A candidate needed minimum 7 votes to win. The election process was aired live on the public broadcaster. Levan Gakheladze, chair of the supervisory board said after the ballot that the process is not yet finished. First, the winner must present certain documents necessary for being appointed to the post of director, after which a contract will be signed. Former director Giorgi Chanturia handed in his resignation letter December 15. As explanation, he said he wasn’t able to fulfill the plans he had set up when he was first appointed to the post three years ago. The problems were mainly related to structural reorganization, but there were other issues as well. The board accepted his application and announced a competition for the post. By December 20, GPB published 143 resumes of people who had signaled their interest. In the first round, candidates were interviewed, and five candidates were chosen. All five participated in debates live on GPB to answer four main questions related to their future position. 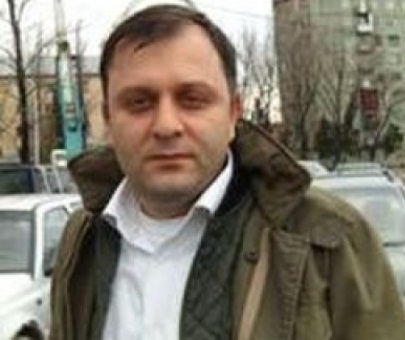 Giorgi Baratashvili, who used to head the technical department of GPB and functioned as director during this period, said in the debates that GPB has a duty to take into account the interests of all levels of society, which may require surveys to study public attitudes regarding interests and set up a so-called ‘art board’, which will decide what type of programs GPB should propose to its audience. Another future priority he sees for GPB is to prepare a complete transition to digital broadcasting; move the channel out of crisis and find a new building, as the current one is old and poses safety risks. The GPB director is a public position which a person is elected to for a six-year term. The new director will have to face certain difficulties in 2013 as the new government has reduced the financing of GPB from USD 29 million to USD 19 million. GPB must at the same time have to pay its debts or else prove that an unexpected financial audit was incorrect in its assessment of the financial situation of the broadcaster.